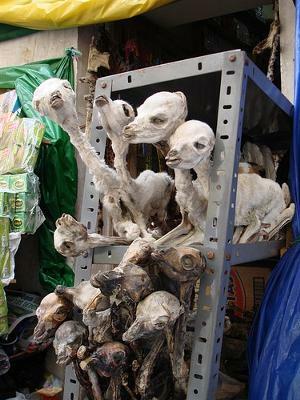 Hello from the USA, Here in the USA I am interested in purchasing Mummified Llama Fetuses which are sold at the Witch's Market in La Paz, Bolivia. They are an interesting item to own here in the USA. We do not have the same traditions, but the Llama Fetus is in demand from Americans interested in Bolivian culture. Would someone please be able to sell these Mummified Llama Fetuses to me in the USA, and send them by mail? If so, I would pay for many of them, and would be very thankful to you! I added a photo of what I am interested in. Comments for Can someone sell me mummified llama fetuses from the Witch's Market in La Paz to the USA? Hello. I would also like to purchase a llama fetus. I live in Indiana USA. I to would like to buy a mummified llama fetus from the witches market and have it shipped to my U.S. home. If anybody has any connections my email ollielu78@gmail.com. Thank for any leads available. I am also looking to purchase one for my home . Josh_in_delirium@hotmail.com if someone could help out. i am desperately seeking a supplier of bolivian dried llama fetus to post to united kingdom too. if you can help email me. cash waiting , thank you. Rosa if you can do it I'd be very interested in such an item myself. I actually emailed you as well a few weeks ago. i fail to see how having these teach you anything about Bolivian culture unless you are Bolivian. You need to first check with the U.S. Customs Service AND Aduanas de Bolivia to know if you will a)be allowed to export this and b)be allowed to import fetuses into Bolivia. It is my understanding that the U.S. has extremely strict controls over dead things. I can send it to you. I would like to talk on the phone in order to know more delivery and price details please. And also i need to know if it is legal to commercialize this item.